We at Umicoza, feel that nowadays everybody has easy access to enjoy scuba diving as a leisure activity, so diving shops should be operating under strict safety control and must offer high quality services. Everybody can have fun in Ishigaki’s wild nature and blue ocean; it is our pleasure to help you with that. At Umicoza all guests are welcomed with our warm hearts and our great reliability. 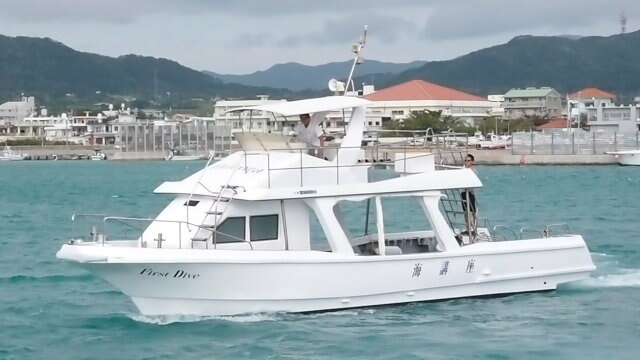 Diving school Umicoza has been appointed as a good marine leisure shop by Okinawa Prefectural Public Safety Commission, a shop operating by safety diving management and we are a member of Yaeyama Diving Association; this is why people keep coming back to us! Everyday departure for Kabira Ishizaki manta ray scramble,one of the most popular diving point!! Umicoza goes to manta ray point everyday, except in case of bad sea conditions. Many other wonderful coral diving points are also located around Kabira. Guiding into water by various kinds of diving menu. for beginners or advanced divers, for the underwater photographer, or if you just want relaxation – We can serve your needs. 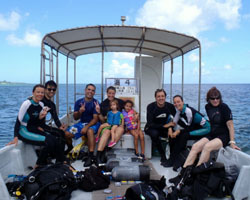 Umicoza provides you with the diving you want. Diving in a foreign country, maybe you are under some stress. Sometimes you might just be a bit anxious. At Umicoza experienced English speaking staff is available, so if you have any questions, please contact us anytime! No worry about being seasick! Umicoza is located in Kabira, the beautiful western part of Ishigaki island. From here we have access to almost all diving points within 10 minutes. So don’t worry about being seasick. a delicious special lunch at our diving shop. Fantastic facilities & diving boat! It only takes a 5 minute drive to the beach where our diving boats depart. In our diving centre you can find beautiful gardens, fitting rooms and hot water showers. Of course, parking space for your rent-a-car is available. Stable running with any sea conditions, long and wide area for ridding and resting.